Accidents happen. When it involves a painted surface, it is comforting to know that you still have some leftover paint to take care of a repair. But, have you ever been sadly disappointed to open up that old can and find that the paint is no longer usable? There are 2 major factors to consider that will extend the usability of your paint: air and temperature. Here are some tips while painting that will help your leftover paint last for years to come. 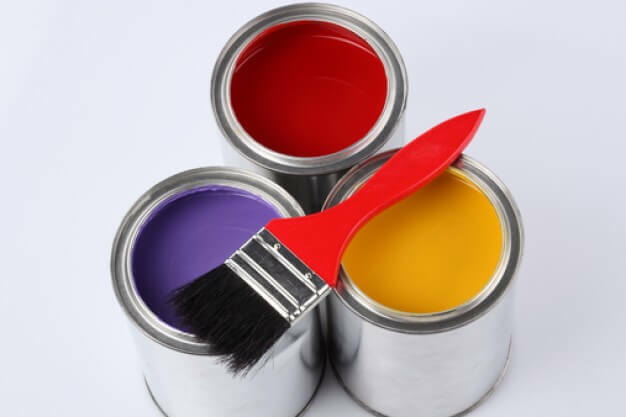 When starting to paint, transfer the amount you will need into a separate container, clean the well around the rim and replace the lid. This reduces the amount of time that the product is exposed to air. Never add water directly into a can of paint. It will spoil prematurely or mold will form. In the event your latex paint is too thick, take out the amount you will need and place it in a separate container before adding water. Then discard any diluted paint. Don’t load your brush or roller directly from the can. Small amounts of dried paint or dirt can be introduced into your fresh paint. Need to know how to store your paints after your project is done? Check back next week for Part 2: Storing your paints!